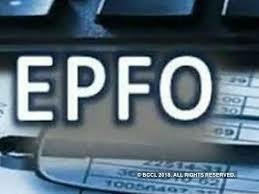 or any official document issued by the employer, the employees can get their respective UAN from the EPF-led UAN web portal https://unifiedportal-mem.epfindia.gov.in/memberinterface/. The UAN is allotted automatically upon the beginning of the first job. Step 5: A PIN will be sent on the mobile number registered with PF member ID. Enter the PIN. Step 6: Click on ‘Validate OTP and get UAN’. Step 7: The Universal Account Number will be sent on the mobile number entered.